Prime Gulf Front property in Deer Lake Beach. 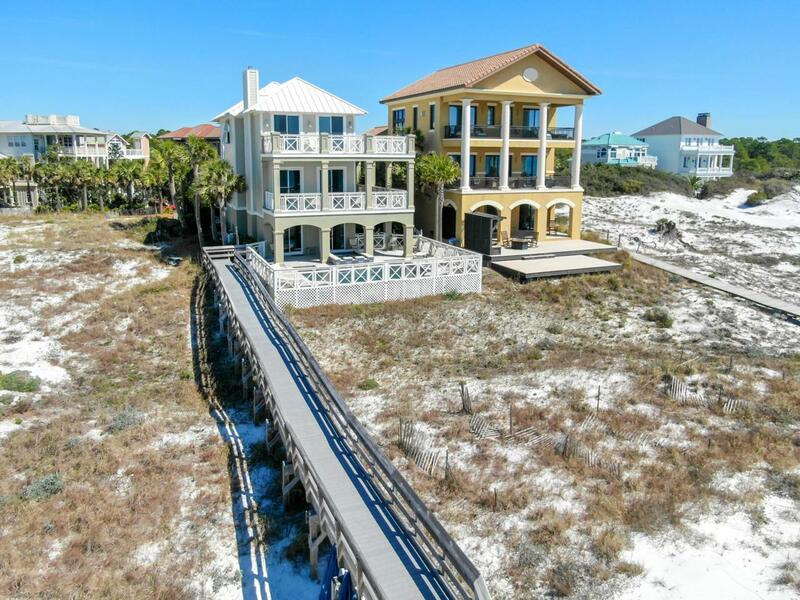 Spanning over a total of 6,300 sqft, this beautiful waterfront residence abounds with large open concept spaces and endless sweeping views of the emerald waters and breath taking view of the surrounding state preserved dunes that can be enjoyed from many areas of the home's designed layout. 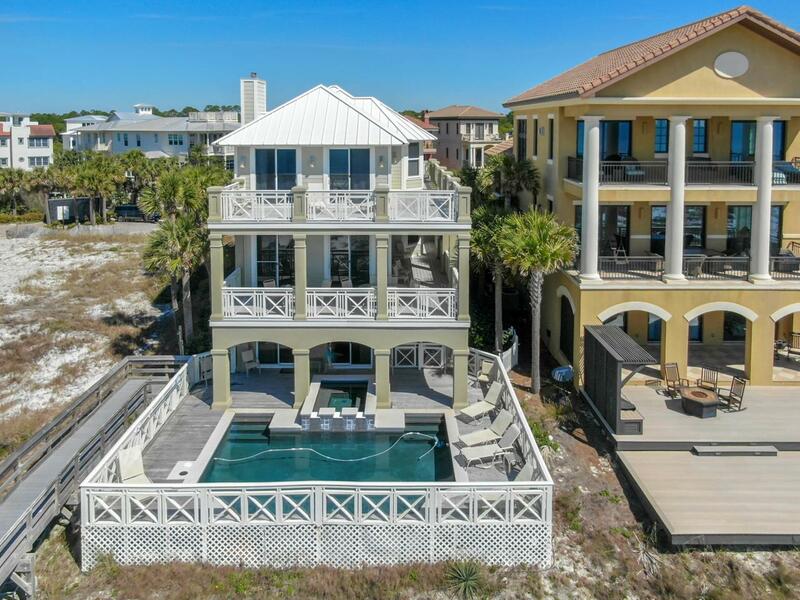 This three story is beautifully designed with outdoor space that is made complete with a pool, hot tub, and 2 outdoor showers. You will have plenty of areas to relax and entertain with this 5 bedrooms 4.5 bath. 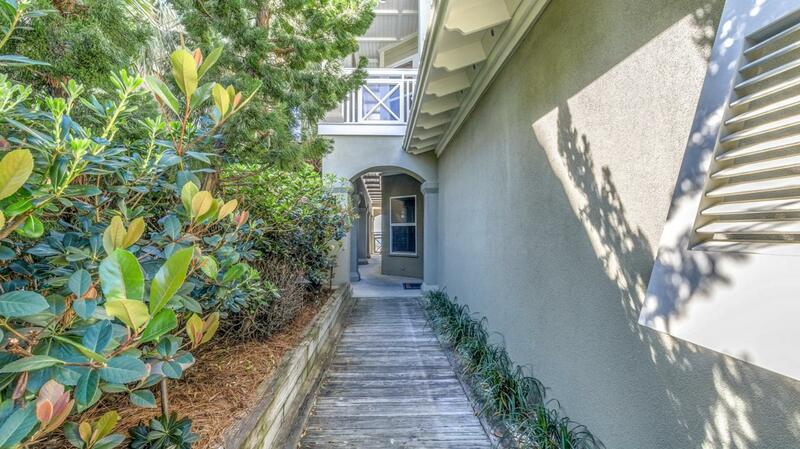 The home entryway is highlighted by beautiful grown landscaping. Entering the first floor you will find the elevator servicing all 3 floors along with 1 guest bedroom, fitness room, sauna, steam room, bath and laundry room.the covered deck of the side of the 3 story home spans the width of the home offering ample outdoor living space and entertainment. On the 2nd floor you will find the open concept tiled main living area along with 1 more bedroom and full bathroom. 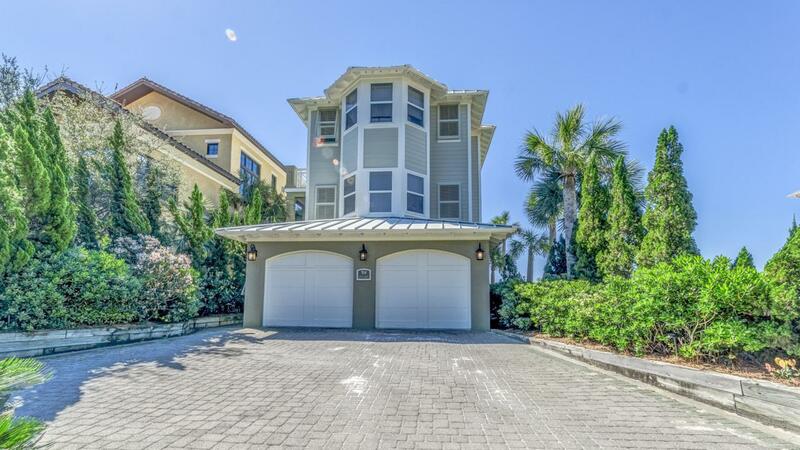 You continue to the 3rd floor and find the elevator opens to a large foyer which leads to a bedroom with 1/2 bath and hallway leading you to a beautiful master bath with garden tub and plenty of room to roam. At the end of the hallway you will enter the expansive master bedroom with more sweeping views and large balcony to sip a cup of coffee as you rise in the morning or enjoy a a cocktail in the evening. The property has some areas that are tiled, some bedrooms are carpeted and others are covered in pine hardwood. This property is unique in that it sits next to the Deer Lake State Park which allows you to enjoy about a mile of state park beach area. The property has a PRIVATE road (no public access) making it a unique location in this area. Eastern Lake is also about 3 blocks from the property and you may stroll to it and enjoy paddle boarding in tranquil waters.